Spring Break started off with no plans to go anywhere and lots of plans for house cleaning and organizing. Not what Embug and Kritter would declare exciting, by any means. Thanks to my somewhat addictive relationship with Social Media and a recent re-connect on Facebook with my former student Lance Carpenter, an unexpected road trip was planned to Northwest Arkansas. 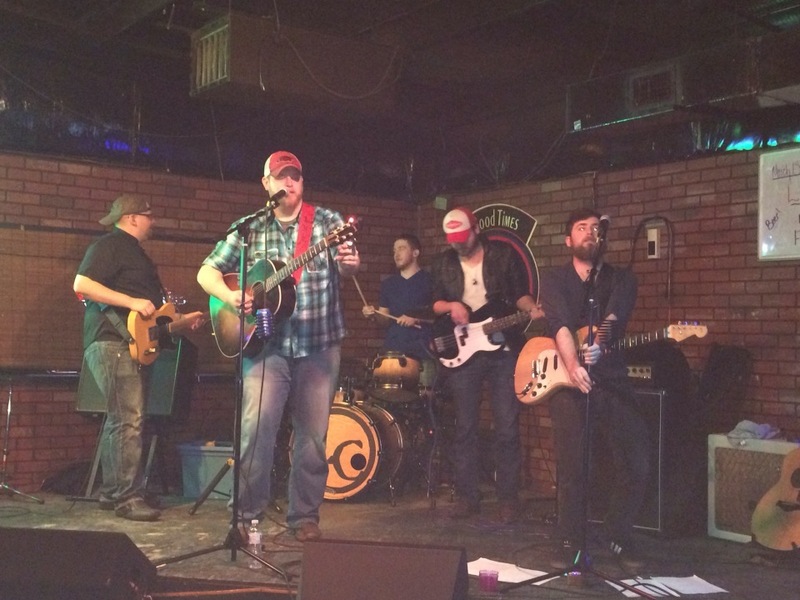 Just before spring break I learned that Lance Carpenter would be performing at a local bar in his hometown, Ozark, Arkansas… the first town Eric and I lived in as a married couple and where we had our first jobs out of college. With this event happening at the end of the Spring Break, it was a perfect reason to make a trip to our favorite haunts in the Northwest Corner of my home state. We left Texas and started this adventure by stopping just inside the Arkansas/Oklahoma border for dinner at LaHuerta Grill and Cantina on Garrison Avenue in Fort Smith, Arkansas. 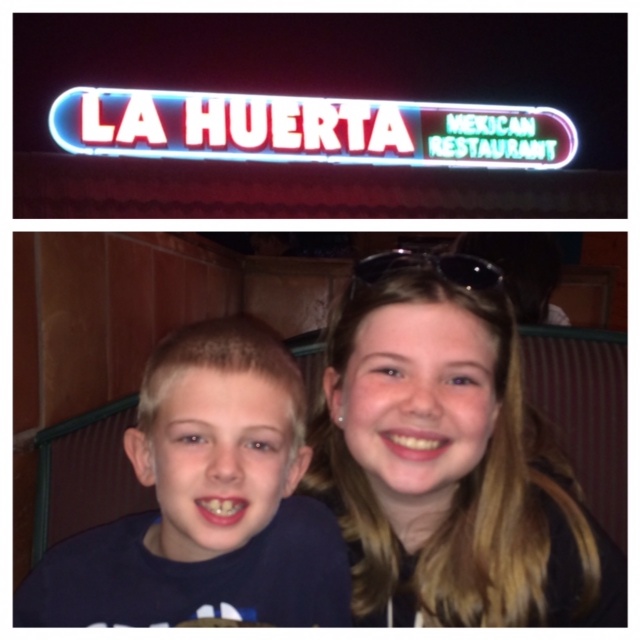 A favorite authentic Mexican Food Restaurant for Eric and I. Their white cheese dip and cheese enchiladas, while unattainable in Texas, were all I craved when I was pregnant with Emmarie. We spent the next day at the University of Arkansas. Eric met with colleagues at the Center of Excellence for Poultry Science, while I dusted off my “Orientation Leader” skills and gave the kids the “real” tour of the campus. We met my best friend from High School and College Roommate, Michelle Parks for lunch at Farrel’s where Kristopher, to his amusement, had the “Hangover Burger.” I think he still giggles when we recount the outing. After lunch we were lucky enough to catch my Cousin Bret Bielema in town. He graciously made himself available to show us around the Razorback Football facilities. It was an amazing and awesome experience that I catch myself doubting it actually happened… it almost seemed too good to be true! After our tour of the Football Athletic facilities we stopped for a custard at Andy’s Frozen Custard and then on to my sister’s family in Farmington. 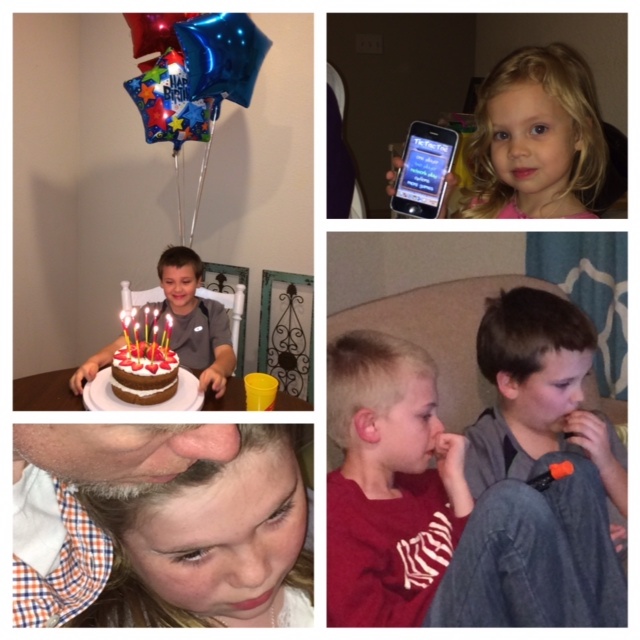 There we met up with my parents, niece, nephew, sister and brother-in-law to celebrate my nephew’s 10th birthday. Kristopher loved his time with his cousin, we watched “Nacho Libre” and sang Happy Birthday to a boy it seems like I was holding in my arms in the hospital after his mother’s long and trying delivery just yesterday. The next day we left the Fayetteville area and headed for Ozark. We stopped at Ozark Upper Elementary (Go Hillbillies!) where I taught the first 4 1/2 years of my career. We also visited turkey growers Eric had provided support to as a Flock Serviceman and showed the kids what it was like living in a small town. 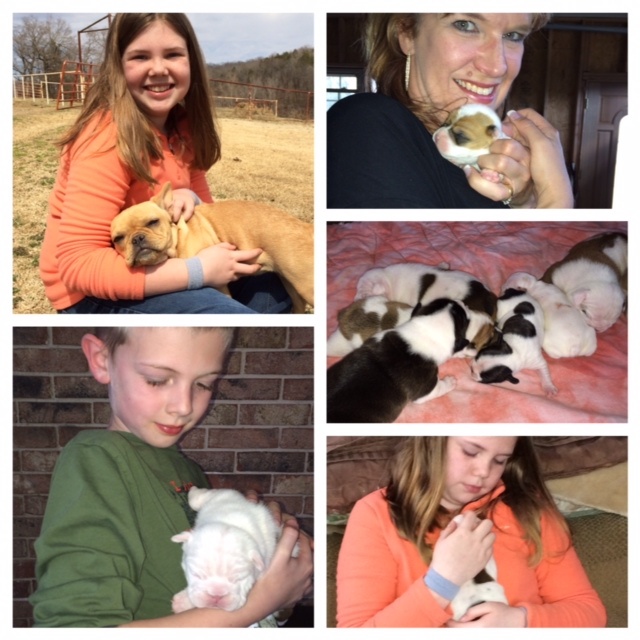 We spent a large amount of time at the Roxin’s farm where we got to meet several friendly dogs and hold puppies from 3 litters of French and English Bulldogs. I still am not sure how we managed to NOT walk away with a puppy picked out to take home once it was weaned! 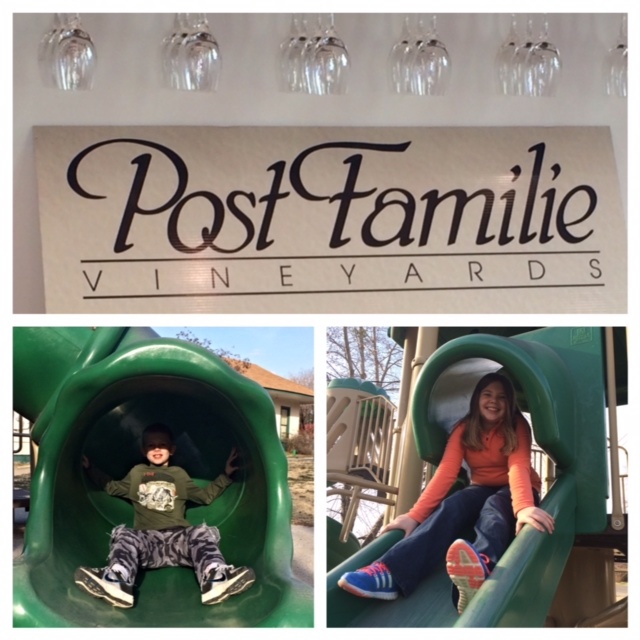 We finished the afternoon excursion by going by Post Winery in Altus, Arkansas to pick up some of our favorite wines and grape juice. 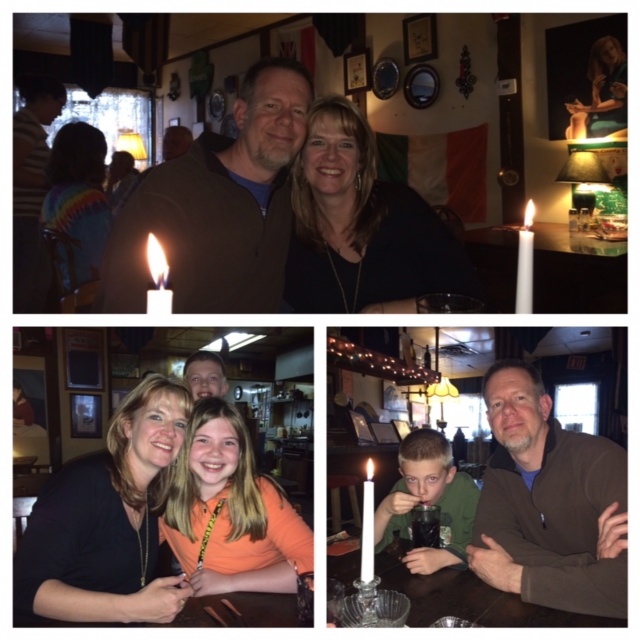 Since it was close to dinner time we decided to take the kids to a local Irish Pub called “Kelt’s” where Eric and I used to have “date night.” The dark, candle lit metal fabricated make shift building that houses the restaurant that serves traditional Irish dishes made for the perfect end to a rural Arkansas day. The next morning we took the kids through the intricately winding roads of the scenic Highway 23 to the trail-head of the Ozark Highlands Trail north of Ozark. We hiked down the side of a hill to a stream. It was so good to be back breathing the Ozark Mountain air, steadying my feet along the path as I walked, and sharing what is a part of my inner fabric with my flatland Texan bred children. There is such a peace in the woods and rolling hills of my home state. To share this part of me with my family completes me in a way no other adventure or excursion does. It seems strange to travel away from what I now call home and when I go to describe it, to want to call it home… I guess it is truly where my heart is. After our hike we met Marty and Penny Baker and their children for a late lunch at Cracker Barrel. Marty went to school with Eric and I, came to Ozark and worked in the same department as Eric when we were first married. Shortly before we moved to Texas, Marty met and married Penny. Hard to believe that was 15+ years ago! After heading back to the hotel to clean up, we then met up with one of my former students Erin (Warden) Hamilton and her family. Such a wonderful sweet family and what joy it brings me to see my students full of joy, passion and happiness. So good to see your former students successful in life… and full of contentment! Finally, Erin watched Embug and Kritter, who enjoyed playing with her boys. Eric and I went to see Lance Carpenter. Lance being the whole reason we did this spur-of-the-moment-road-trip. 1. Planning sometimes ruins the fun. 2. Sharing your past with your children by taking them to the actual locations… even if the physical building is no longer standing is the most powerful way to share your memories. 3. Holding tiny warm wiggly puppies on any trip makes a good trip great. 4. Being passionate about something (like the Razorbacks or Springtime in Arkansas) can only become a family passion if everyone gets to experience it. 5. Good food, ambiance and time for stories is what brings a family closer. 6. The fabric that makes you who you are isn’t made just from your experiences and successes but in the leisurely hikes and the natural beauty around you. 7. Reconnect with your past, share your present with your past connections and make those past important connections part of your future. 8. Every road trip needs a great playlist… your 80’s music is your kids Disney Movie’s soundtracks! 9. Be sure to talk with accents in the car as you travel… sounds crazy, but trust me it makes everyone giggle. 10. Everyone needs to take a spur-of-the-moment trip at least once a year that requires driving across at least one state line and an overnight stay with enough time to make unforgettable memories. Who knows when our next spontaneous adventure will occur, but I am so glad I fought my tendency to need to plan and jumped at the chance to take a trip… unplanned.